If you’ve gotten yourself into a financial hole, sometimes the only way to climb out is to file bankruptcy. This is especially true if your debt keeps mounting with no possibility of paying it anytime soon. While bankruptcy can leave a mark on your credit score, it can be the right choice for some. If you’ve already filed once, though, and you once again find yourself in financial dire straits, you can file bankruptcy again. But you may not be able to get your debts discharged until a set period of time has passed. The top reason for filing bankruptcy is to clear out all your debts and get a fresh start. If you’ve filed for bankruptcy in the past, you’ve already had that clean slate at least once. Unfortunately, the Bankruptcy Abuse Prevention and Consumer Protection Act of 2005 places limits on the number of times you can discharge your debts in a specific timeframe. Before you can understand the time period, it’s important to know the difference between the two types of bankruptcy filings. 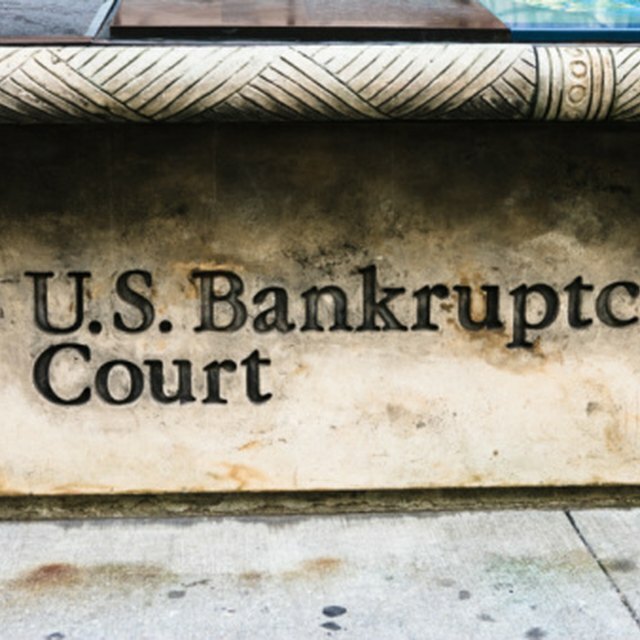 With Chapter 7 bankruptcy, most of your debts are wiped out. Those include credit cards and medical bills, but they don’t include recent tax debts or student loans. Chapter 13 sets you up on a repayment plan that protects your assets while you work to regain your footing. The law sets strict rules governing the number of years you must wait before discharging your debts. But it isn’t as simple as a set number of years. The time you must wait depends on both the type of bankruptcy you last filed and the type of bankruptcy you plan to file now. How Long Does Chapter 7 Bankruptcy Stay on a Credit Report? Can You Stop a Bankruptcy Claim Anytime After You File? How Soon Can I Sell My House After Bankruptcy? Chapter 13 then, Chapter 7 now – six years from the filing date. However, if you had unsecured creditors, such as credit card companies and bank lenders, and you paid them back by at least 70 percent, you may be eligible to discharge your debts a second time sooner. It’s important to check with a bankruptcy attorney if you think you may be eligible to file earlier than what the law says. Your reason for filing bankruptcy twice may be that you were denied on the first try. Alternatively, you may have asked for a dismissal before the bankruptcy request was finalized because your financial situation improved. If you change your mind or want to try again a few months later, you can. Since your debts were never discharged, you won’t have to wait years to file again. There is one exception, though. If your earlier case was dismissed because you didn’t follow the court’s instructions, you may be required to wait 180 days before you can try again. Your attorney should know if this applies to your own case. If you’re considering filing bankruptcy twice, you likely already know the effects it can have on your credit report. Payment history makes up 35 percent of your total FICO score, and FICO is usually the score creditors use when trying to determine whether to issue you credit. Another 30 percent is the amount of debt you owe, so if you’ve had most of your debts discharged, it can actually help you. But bankruptcies don’t stay on your credit report forever. If you filed Chapter 7, it will remain on your credit report for 10 years, while Chapter 13 remains for only seven. However, it’s not guaranteed that the bankruptcy will disappear on schedule, so you may want to keep an eye on your credit reports. Debt.com: What If I Need to File for Bankruptcy Again? Nolo: What Are the Differences Between Chapter 7 and Chapter 13 Bankruptcy? Nolo: Multiple Bankruptcy Filings: When Can You File Again? Investopedia: How will bankruptcy affect my ability to get credit in the future?